This Red White and Blue Necklace Swarovski Crystal Necklace is for military moms, military wives, military daughters or anyone who loves the USA! The Swarovski crystals are Red, White and Blue. 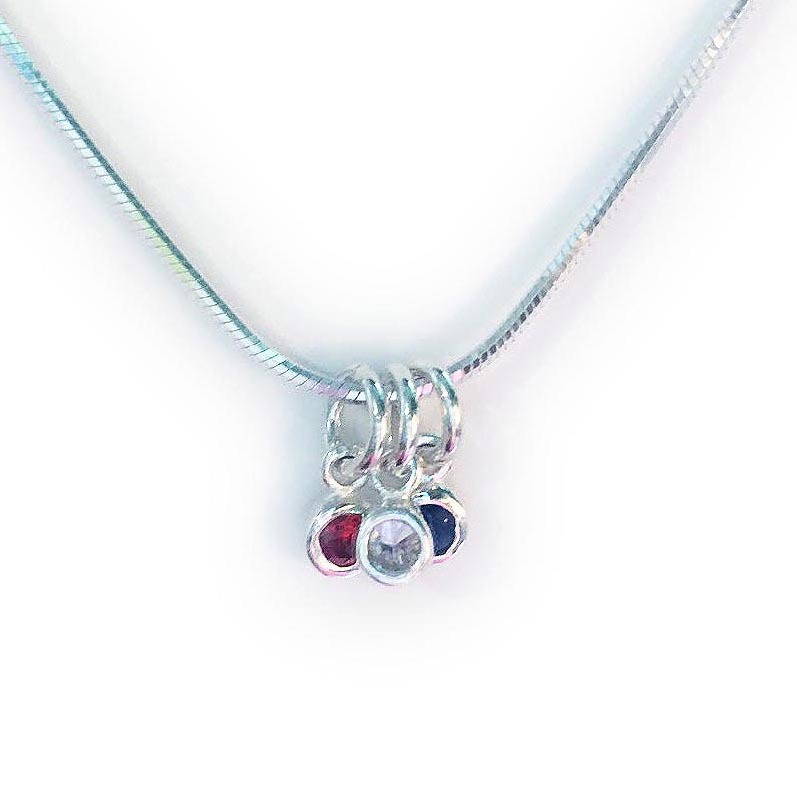 The red white and blue crystals are on a .925 sterling silver snake necklace chain. I have 4 necklace options; Rolo, Snake, Ball and Leather. It includes the 3 Swarovski crystal red, white and blue charms.